PureousTM Heavy Duty Cleaner is a revolutionary new product that works by use of PureousTM powered technology that cleans on the molecular level. PureousTM Heavy Duty Cleaner product uses a combination of silicate reaction and surface charge modification to release oils and grease from surfaces while breaking them down through molecular degradation. 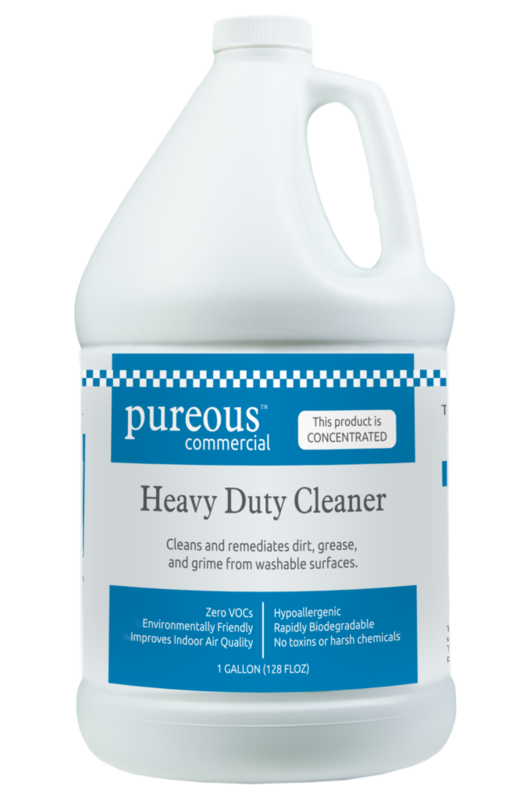 PureousTM Heavy Duty Cleaner is our most powerful easy to use all-purpose cleaner that will effectively clean all types of surfaces. It works to breakdown Fats, Oils, and Grease (FOG) in commercial and institutional food settings. This leads to cleaner floor drains, less odor, and the reduction of pests that are attracted to and feed off residual waste in those drains.